Ok, let’s get the obvious out of the way first: what in the heck is Hee Hee? I first learned about Hee Hee when I was watching Mario Batali give a cooking demonstration on YouTube. Hee Hee is that little salad garnish he puts on top of the food that makes it look more interesting and gives the added flavor notes of an acid, olive oil and a spice. Plus it’s silly and fun to say. The Hee Hee in this recipe has Italian flat leaf parsley, white onion slices, fennel seeds, balsamic vinegar and olive oil. But this is not the only one he uses. There is also a Hee Hee with thin sliced artichokes, lemon juice, olive oil and red chile flakes. And another with thin sliced crimini mushrooms, sliced red onion, lemon juice, olive oil and chile flakes. You could make up your own Hee Hee to embellish and enhance your dishes, I bet. I first made this Mushroom Ragout about 15 years ago for a Christmas dinner I prepared. I served it over polenta with sautéed curly parsley and smashed garlic on top. It’s been around in my repertoire for a long time and is just as amazing every time I’ve made it. It’s the lemon juice and white wine in the sauce. I take a bite and just go Mmmmmm. First you mince the Sofrito ingredients: onion, Italian flat leaf parsley, garlic and lemon zest. 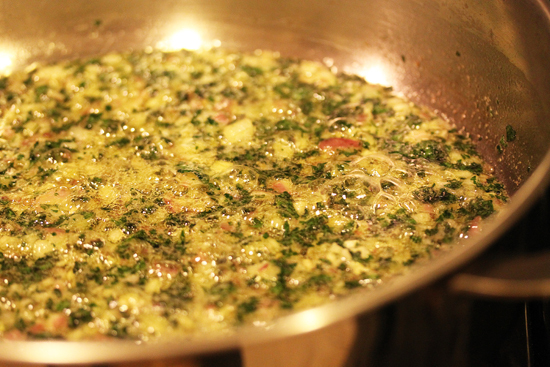 Melt the butter in the olive oil and add the Sofrito. 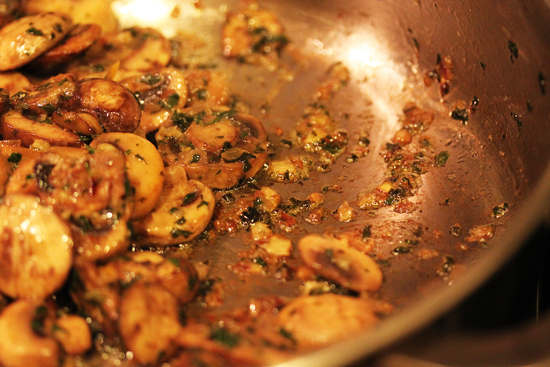 When the sofrito has cooked for 5 minutes, add the mushrooms. I used an 8 ounce container of sliced white mushrooms and 8 ounces of sliced Baby Bellas. 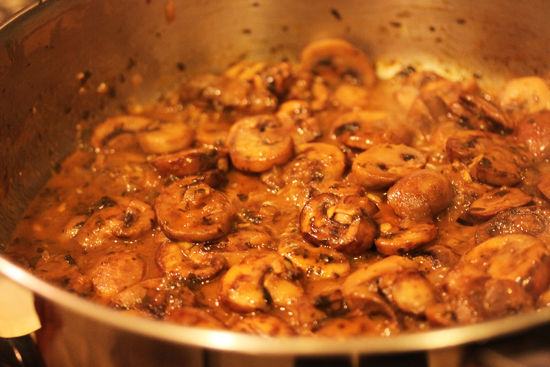 Stir the mushrooms to thoroughly coat with the sofrito. 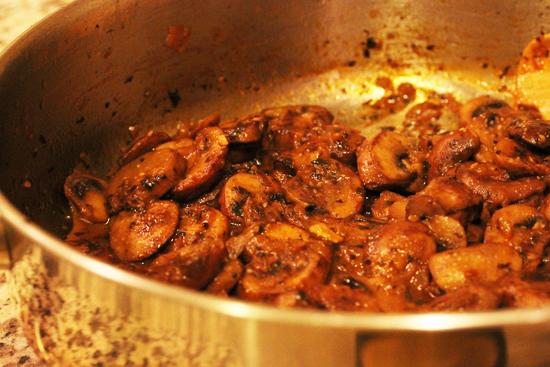 Cook until the mushrooms release their liquid and it evaporates, leaving caramelized bits on the bottom of the pan. Now add the chicken broth with a little tomato paste dissolved in it and the lemon juice. When the mushrooms are finished cooking with the sofrito, but you haven’t added the chicken broth and lemon juice, you can serve them as a vegetable side at that point. Just give them a sprinkle of salt, put them in a bowl and serve. So delicious. 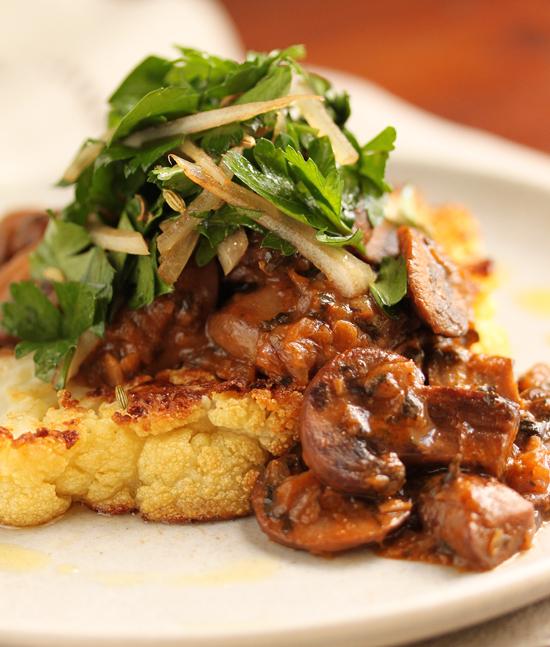 You can serve the Mushroom Ragout over cauliflower steaks as I did in this dish (recipe for steaks below), or over polenta, rice, potatoes or pasta. Chop it up a little and serve on garlic buttered toasted bruschetta. I’m imagining a poached egg perched on top in some configuration. Drat, now I’m going to have to make another pan-full and get creative. That bruschetta sounds really good! 2. 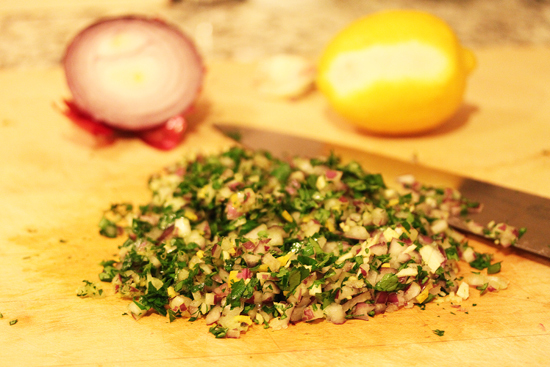 Mince parsley, onion, garlic and zest together for the sofrito. 3. Melt butter and oil in heavy pan over medium heat. Add minced ingredients and sauté for 5 minutes, stirring occasionally. 4. 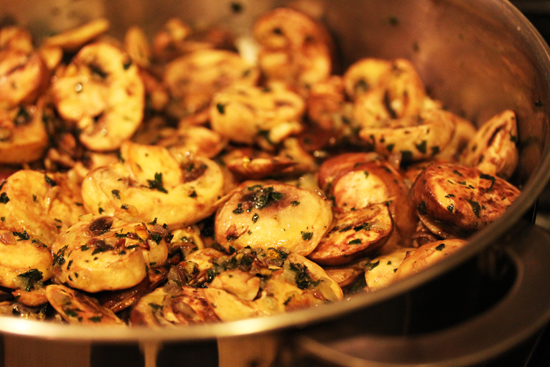 Add mushrooms to pan over medium heat and stir to coat mushrooms with the oil and sofrito. 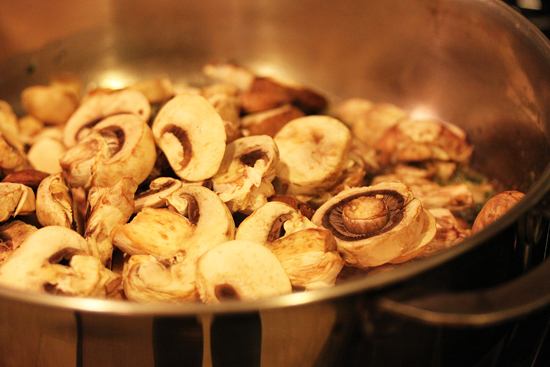 Cook for 20 minutes, stirring occasionally, reducing to low heat last 10 minutes, until mushroom liquid is evaporated. There will be caramelized bits on the bottom of the pan. 5. Add wine and lemon juice. Cook at low boil on medium low heat for 5 minutes until most of liquid has evaporated. Add thyme and stir in. 6. Dissolve tomato paste in broth and add to pan. Cook 30 minutes over medium heat until liquid has reduced to sauce consistency. Sprinkle with salt and pepper to taste. 7. Serve over cauliflower steaks, polenta, rice, pasta or potatoes. Garnish with Italian parsley or Hee Hee (recipe below). Note: May be made one day ahead and gently reheated, covered, on stove top or in microwave. A small amount of broth may need to be added to regain sauce consistency. 1. Preheat oven to 400 degrees F. Cover a sheet pan with aluminum foil and oil lightly with cooking spray. 2. Remove leaves from cauliflower and trim stem. Cut head in half through core, then cut a slice 1-inch thick from the cut side of each half, keeping the core intact. If the cauliflower is large, cut as many 1-inch slices as possible that include the core. There should be 4 slices total. 3. Heat olive oil in large pan until nearly smoking. Add cauliflower slices, reduce heat to medium, and cook until partly browned on both sides, about 3 minutes total. 4. Place browned slices on sheet pan and roast for 15 minutes at 400 degrees F. Lower the temperature to 375* and roast for 10 more minutes. 1. Mix Hee Hee ingredients together in a small bowl. Humm, this looks realy yummy! 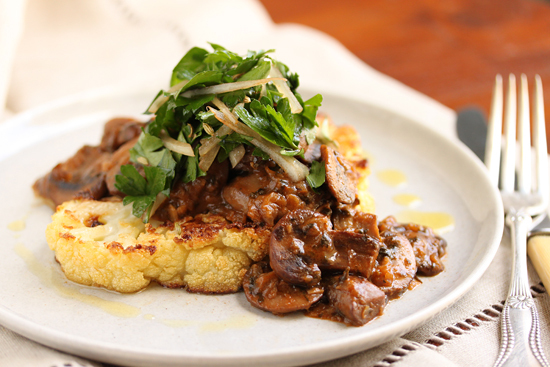 I never tried cauliflower steaks but the combination with mushrooms is really enticing! Wow, Lynne! This is a lovely Hee Hee. I’m forwarding it onto my husband for dinner tonight. Since I’m still on a soft foods diet, I’m thinking this might be good over a dinner frittata? Or potatoes? 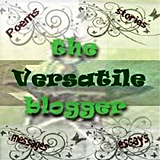 The possibilities are endless, no?! I’m always up for a good Hee Hee! wow looks divine! haha i can’t wait to try this and tell people its name. it’ll get a rise out of everyone i’m sure! lovely pictures, such a colorful dish! Thanks so much for this. 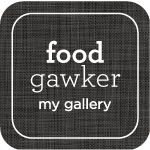 Made the mushrooms yesterday with rice and today tried the cauliflower steaks and made the ragout with eggplant and zucchini. It was amazing. And because we’re veg heads here I added some ‘ground’ chickpeas and chopped walnuts to the mushroom ragout. It was just what I needed yesterday. Thanks for the inspiration! Dinner was great two days in a row.